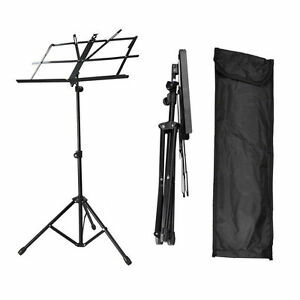 I can put it right against me by my feet and relax my back on the chair and play my instrument, while before I had to put it on a stack of books and my back was not having a comfortable position. Very nice music stand. Better than expected. It is very adjustable for all heights of players. It is also very stable on the floor. Really good quality, and easy to adjust and carry.